Did you try to bleach/tone your hair at home and end up with a yellow mess instead? It happens to the best of us—and it can be pretty embarrassing. I've dealt with this myself on multiple occasions, and have had to rock a hat and sunglasses for a few days while attempting to fix the problem. The good news is, I've got several tried and true methods for you to rid yourself of your brassy locks. Darker hair is comprised of many different tones. My naturally dark brown hair appears reddish in the sun, because of my warm undertones. Some people have naturally cool, ash-toned hair. When you bleach your hair and strip away the color, these tones start to show through. Typically, when dark hair is bleached it will go through various brassy reds, oranges, and yellows. It's usually not the look that people are going for, but if you want to get to a new color you're probably going to need to lift some out first - brassiness is inevitable. Depending on what your end goal is, there are several ways to fix yellow, brassy hair. If you're scared of using bleach at home, you may want to consider seeing a hairstylist or just going darker. It's okay to admit defeat! However, if you're set on lighter hair, there are tons of resources online to help you through the bleaching process. Below is a video of one of my own trials and tribulations to get to light hair! You can see after the bleaching how the brassy tones came through. Admittedly, the video above is illustrating the exact issue being addressed in this post. Even at the end of the video, my hair was much lighter but still pretty brassy. This is where your end goal comes into play. My intention with bleaching my hair was not to have blonde hair. It was to get it light enough to dye it purple! If the end goal for the look was to have a natural blonde, I would have needed to bleach it further. 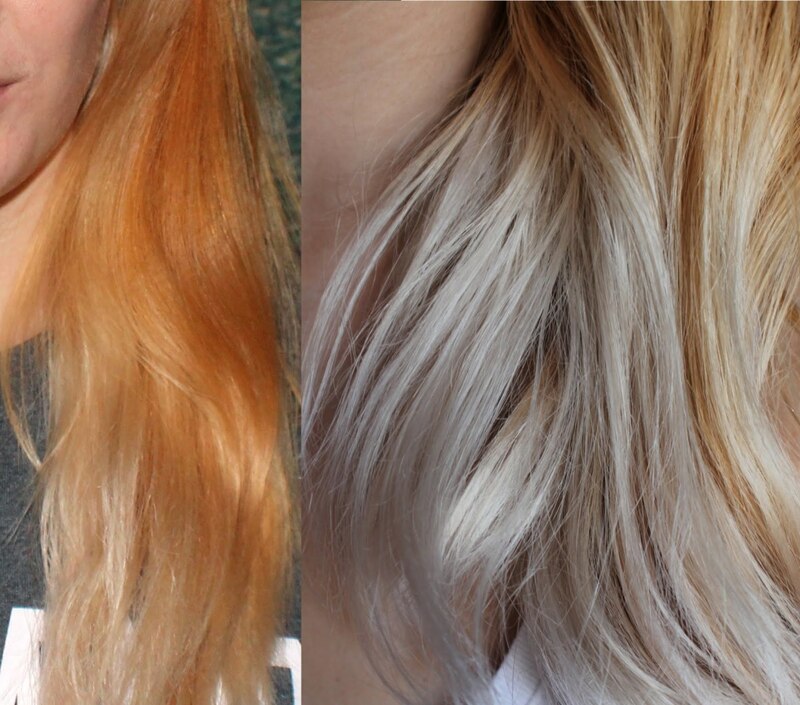 Bleaching at home is fairly easy, and you can find the whole process detailed here. Essentially, you'll need a bleach powder and a 20 volume developer. You can repeat the bleaching process spaced out over several days/weeks, until your hair is the color of the inside of a banana peel. At this level, it is ready to tone! Toner is a product that should be used for ANYONE trying to go blonde. It will slightly lift color and neutralize red, orange, and yellow tones. You'll have to pick a toner depending on the shades present in your hair. Toners are typically based with green, blue, and purple. Green neutralizes red tones, blue neutralizes orange, and purple neutralizes yellow. If you're reading this article in particular, you'll probably need a blue-violet based toner. Wella makes great toners for yellow hair - figure out what level your hair is at currently, and choose a toner based on that. If your hair isn't light enough, you run the risk of the toner not working - as was the case in my video above. If you decide to use a Wella toner, they suggest mixing it with two parts 20 volume developer. After you've let it sit for the recommended amount of time, wash it out and be sure to use a leave-in conditioner. This is a method that, much like toning, will only work if your hair is at a certain level of lightness already. 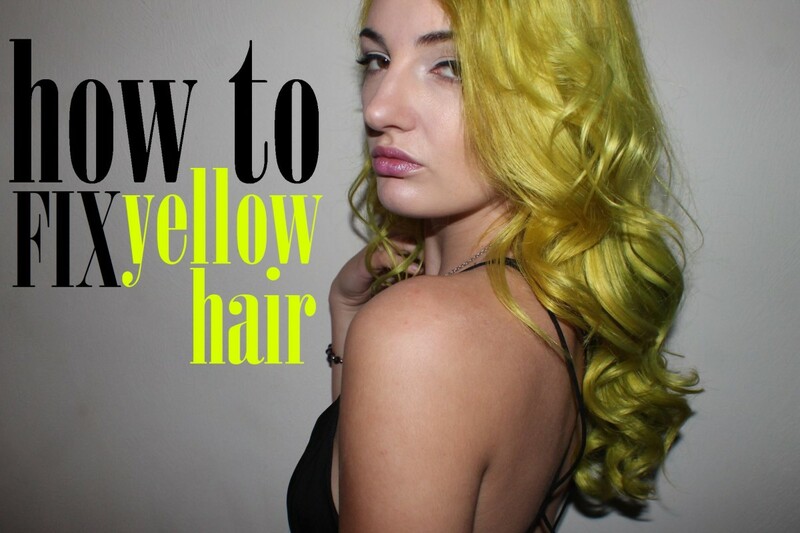 If you have a yellow hair problem, chances are you will be able to dye. Using a blonde hair dye won't work for you if you have orange tones in your hair! Select a blonde hair dye shade within 2 shades of your current color. The great thing about box dyes at the store is that they show you what the dye will do to different shades right on the side of the box! Follow the instructions and apply this as you would any other hair dye. Keep in mind, if you are looking to rid yourself of warm tones, select an ash blonde. Sometimes you just want to give up on the idea of blonde, and that's okay too! If you're having issues achieving the look, it may be time to just dye it darker. You can pick up a hair dye of your original color, or go for something different - just make sure it's darker than your current yellow. 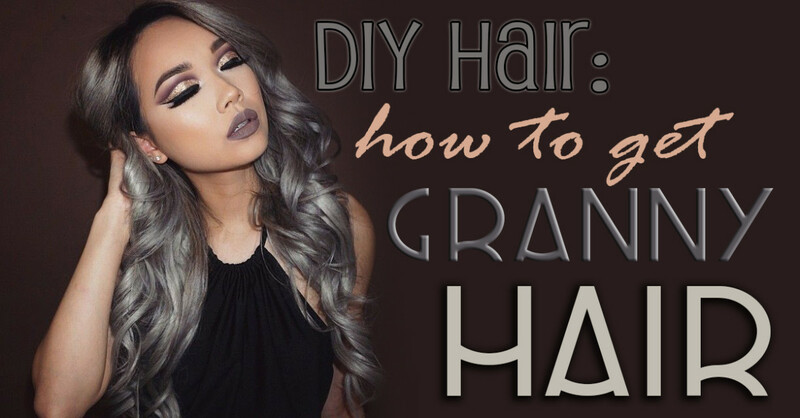 The process for dying your hair at home is very simple, and can be found here! 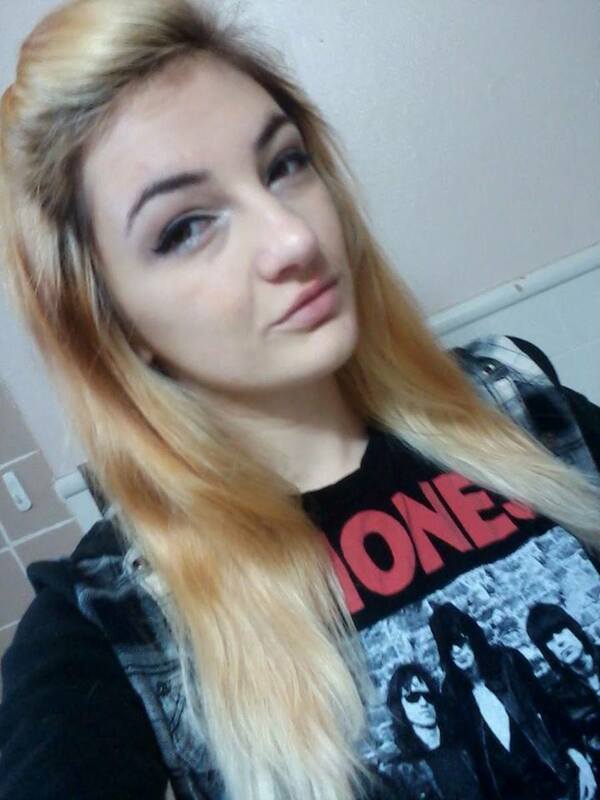 As I mentioned earlier, I bleached my hair blonde to be able to dye it another color. 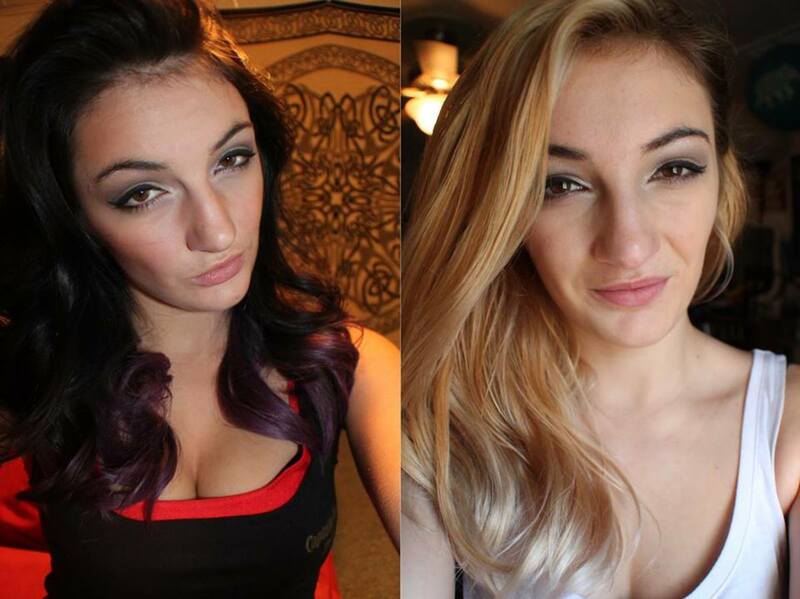 Below is a photo of how I ended up going darker by adding purple dye on top! 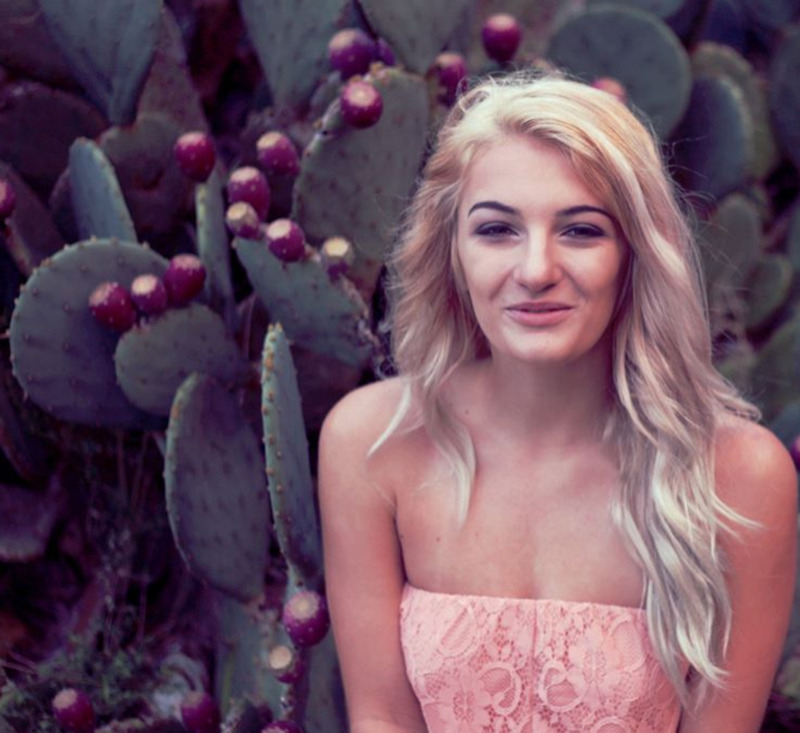 Hopefully this post helped you to find a solution to your brassy, yellow hair. 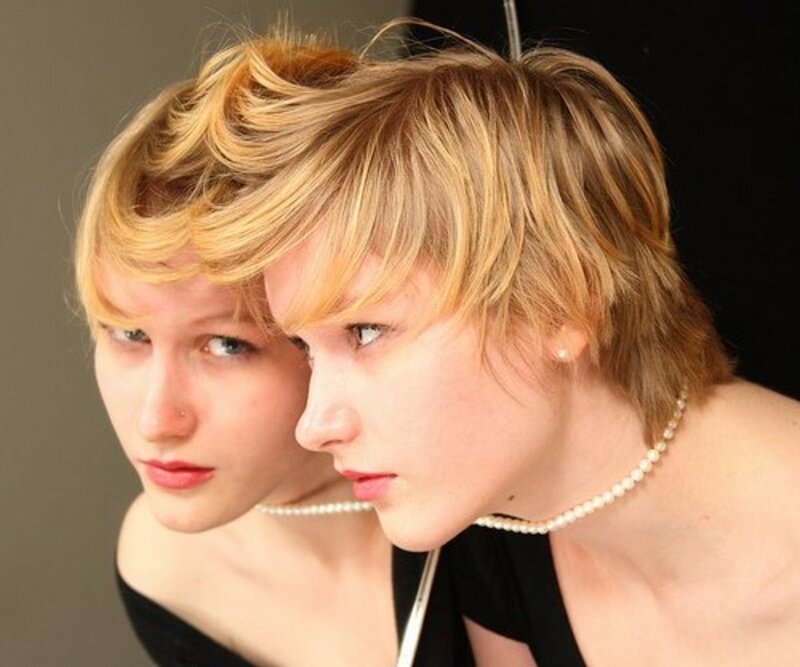 Going through a big hair change can be intimidating, but it's always fixable! Leave your questions and comments below on what your experience has been. If you have some more questions about bleaching and toning your hair, check out my profile to find more articles! If it's very light blonde with yellow, I'd try a T18 toner to get it to a neutral shade. Once you're there, use a gray dye. Ion has a gray series at Sally's Beauty, and Arctic Fox has Sterling. I haven't tried the Arctic Fox Sterling yet but in my experience their dyes are amazing! Hi, I've been trying to go gray or color my hair silver gray!! I just had it done at a shop and paid $85.00 plus tip, and it looks like a very light blonde to me, with yellow in it! This has been going on for months with different toners, and bleaching!! Im going nuts !! 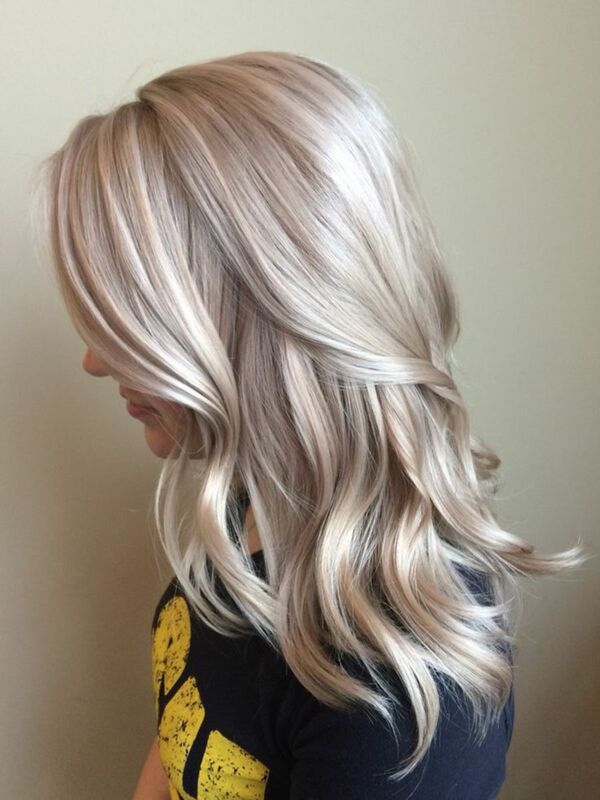 What can i do to just get to a nice silver grey tone?? Ive never had this much trouble coloring my hair and getting it to the color i was trying to achieve!! I need help! !